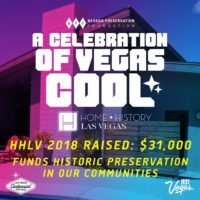 Our primary goal is to preserve and revitalize historic buildings, communities and places in Las Vegas and around the great state of Nevada. We work with a variety of stakeholders in accomplishing this mission, including property owners, residents, neighborhoods, developers, cultural heritage organizations, educational institutions and public officials. Retention and restoration of our built environment fosters not only a sense of place but also helps to build an engaged community. Preservation is not possible without education. It is our strongest tool. We need to understand what we are preserving and the benefits of preservation before we can be advocates. 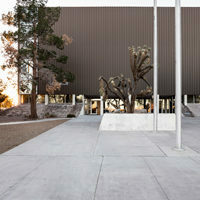 We provide educational events and opportunities throughout the year in order to foster a greater understanding of Nevada’s cultural legacy and the need to preserve it. We offer a variety of programs including films, lectures, heritage tours, community events, social meets ups, monthly newsletters and volunteer opportunities. We rely on a range of strategies in order to advocate for the preservation of historic buildings and places. There is no universal approach to advocacy. Each situation requires a unique plan and approach. It involves the work of many, and issues can often take years to resolve. Our efforts include responding to specific threats, assisting property owners and residents with historic designation, educating our community and professionals in preservation practices and supporting stronger preservation policies and incentives. Looking for assistance in reusing and revitalizing a historic building? 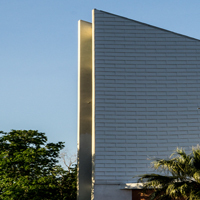 Interested in learning about historic designation options and benefits? We assist homeowners, business owners, developers, and neighborhoods in finding the path to helping their historic buildings meet the needs of today. Encouraging Historic Preservation in a state that constantly reinvents itself in order to stay on the leading edge of the tourism industry is an ongoing challenge. At NPF the goal of our heritage tourism division is to bring visibility to some of these challenges and be a source of education and information so like-minded citizens can make informed decisions when it comes to state-wide preservation efforts. Preservation is not only a tool for preserving our community’s history and culture, but is also a tool for revitalizing our older, sometimes forgotten, communities. Revitalization of historic properties and neighborhoods strengthens our community, providing for economic diversity and meaningful places where Nevada’s residents can live, work, and play.